The Townsend (718 Congress Avenue) is proud to host guest bartender Daniel Kutch on Friday, April 7 from 4 p.m. to midnight. Kutch will create a special three-drink menu, which will be available in addition to The Townsend’s nightly drink offerings. Kutch’s curated drink menu for his stay includes The Tide's Raspy Voice, made with The Botanist gin, lemon juice, raspberry syrup, and sea foam; Hire's Rosy Cheeks, made with Metaxa 5 Star, Wild Turkey 101 rye, root beer gomme, aromatic bitters, and ouzo; and theOperetta in a Nutshell, made with Port Charlotte Islay whisky, liqueur de camomille, and nocino. All three of Kutch’s cocktails are priced at $6 each and his visit to The Townsend is part of the Collectif 1806 bartender exchange program. Collectif 1806 is a program from Remy Cointreau that includes an archive of over 250 traveling vintage cocktail volumes available for review through Cointreau’s bartender education program. 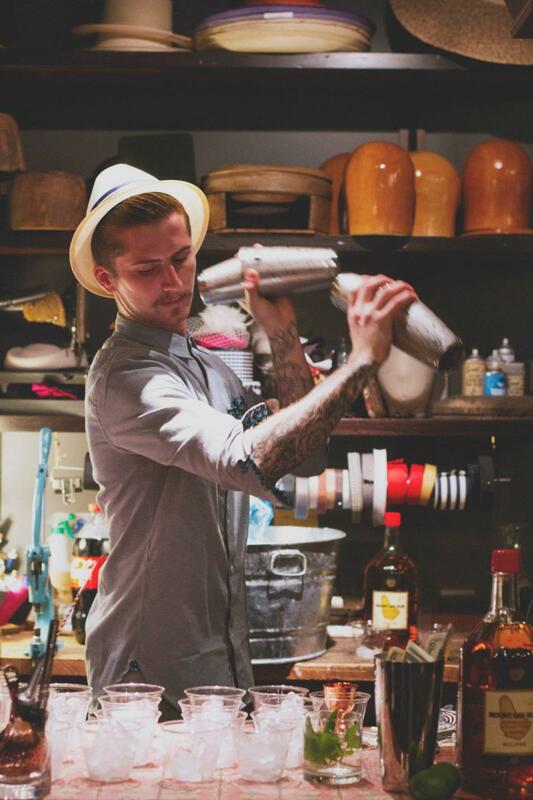 Kutch, a 25-year-old bartender in San Francisco, was born an hour south of San Francisco and raised in Sacramento. With almost a decade in high-caliber restaurants, the last three have been spent at his post Maven in the Lower Haight district. Kutch draws inspiration from his travels, combining them with native Northern California flavors to contribute to Maven’s seasonal food and drink pairings. Maven was named one of Eater SF’s “Most Important Cocktail Bars” in 2015. For information on The Townsend’s guest bartender program, visit the bar’s Facebook page at for updates: Facebook.com/TheTownsendAustin. The Townsend, an upscale cocktail bar and restaurant located steps from the Texas Capitol building at 718 Congress Avenue in Austin, Texas. The Townsend was recently named Eater's #2 hottest cocktail bar from coast to coast, and has received local and regional praise in Austin Monthly, Texas Monthly, Austin American-Statesman, and CultureMap Austin, among others. The Townsend's Justin Elliott was recently named one of America's Best Bartenders by Thrillist and the kitchen is led by Chef Justin Huffman. Housed in the 3,400 square foot landmark Townsend-Thompson Building, The Townsend offers a delicious menu of small plates and craft cocktails. The Townsend is operated by Austin-based hospitality group Penumbral Strategic Ventures, LLC and is open seven days a week from 4 p.m. to 2 a.m. For more information on The Townsend, visit: Facebook.com/TheTownsendAustin andthetownsendaustin.com.